Accolades: Is that a new sports drink? I’ve never had one before. 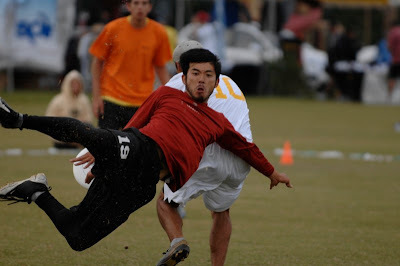 How I came to join Revolver: It was the summer of 2006 and I was pretty disillusioned by open club Ultimate. 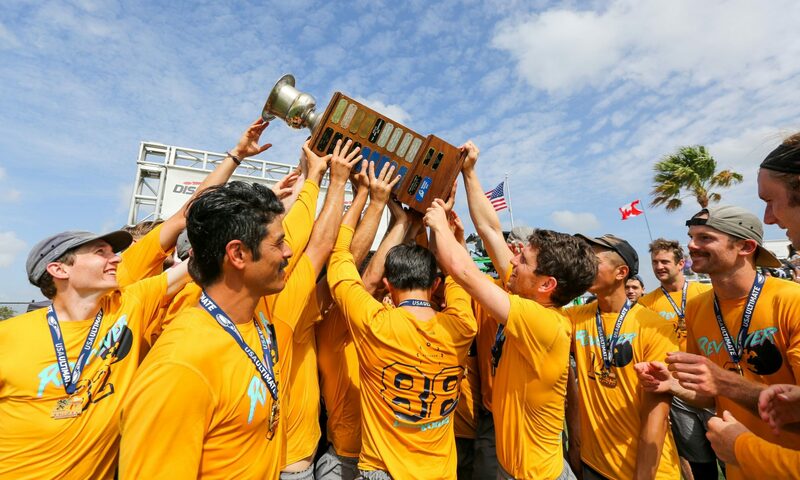 I had vowed that I’d be at club nationals that year no matter what (even as a spectator) and was trying to start a new Bay Area co-ed team with a core of UC Berkeley men’s and women’s players. Brian Garcia and Nat Kinsky suggested we go to the first practice for “some new Bay Area team.” Let’s just say I had some significant doubts about this team, a mishmash of folks at a variety of skill levels. (Oh, and I didn’t even know that it was tryouts.) But I really enjoyed Nick Handler and Marc Weinberger’s leadership (and encouragement) and did whatever I could to get on McManus’ good side. Managed to show some competency in running a stack offense and the rest, they say, is… Revolver Ultimate. 2008 Nationals – Tom James 5, 7, 10? layout Ds in the second half against Johnny Bravo in power pools and winning. We were down 14-9 or something. Legendary. 2007 Northwest Regionals – Revolver didn’t make it to Nationals, but I achieved every personal goal that I set out that year/tournament. Favorite game or tournament moment outside of Revolver: 1 Portuguese flag, 1 girl, no clothes. HH Valdivia – a mentor and friend, motivational as he was always one step/year ahead of where I wanted to be. Dan Hodges – he’s both the angel on the right shoulder and the devil on the left. Chris McManus – showed me my best wasn’t good enough, so I needed to get better. Favorite tournament: The next one. What makes ___ so dangerous? I’m like a box of chocolates. You never know what you’re gonna get. Pre-game ritual: Eggs, #2, shower. Everything else takes care of itself. What I like to eat on Saturday night of a tournament: Totoro. If I didn’t play Ultimate, my main pastime outside of work would be: I don’t know how to respond to this. In terms of Kanners, how tan are you? Are we talking 2010 Kanners or 2011 Kanners? 42. I never really wanted to play college Ultimate, but I did. I never really wanted to play club Ultimate, but I did.